 You’ve entered the Cape Town Cycle Tour… now get your bike there, safely. To experience the sights and sounds of an event like the Cycle Tour in the best possible way, you want your bike to arrive at its destination with only the scratches you’ve already put on it – not damage that will preclude you from riding.There are many things to consider when you fly your bicycle to Cape Town for the Cycle Tour. Some airlines charge extra while others will take your bicycle as part of your luggage, BUT have very strict guidelines. You’ll be able to fly with your bike on South Africa’s main airlines, namely SAA, kulula.com, BA, SAFAIR and Mango, however, the onus is on you to pack it correctly so that you won’t have to fear the infamous airport baggage handlers. If this isn’t your first travelling rodeo you’ll have a bike bag which will make the process smooth – most have all the compartments, straps and fittings to make sure your bike is safe and secure for the journey. If you don’t have a bike bag, then cardboard, bubble wrap and tape will be your friend. Bear in mind that not any old cardboard box will do… you’ll have to make a visit to your local bike shop to get yourself a cardboard box into which your bike will fit. Either way, you’ll have to be your own mechanic in readying your bike for travel, and remember that whatever you dismantle you’ll have to reassemble so don’t go too cowboy with your multitool. Standard requirements for travelling with your bicycle is to turn your handlebars parallel with the frame (screw the headcap and spacers back securely if you remove it entirely to do so), remove your pedals, remove your wheels, deflate your tyres and put your seat down. Remember to measure and mark your saddle height and tighten your seatpost clamp once you’ve removed your saddle… losing this will be a massive pain. Now to the important but fun part – bubble wrap and tape. You’ll want to go over the top on your chain, derailleurs, frame and forks and then voila… time to pack it all in. Your bike bag or box will be a handy place to store all your tools, spare kit or nutrition that you want to take with you, but keep an eye on the cumulative weight and secure them safely as not to cause damage from rattling during the flight. Aim to buy your CO2 canisters at the Cape Town Cycle Tour Expo or somewhere in Cape Town. If you have any packed in your bike box, please confirm with your airline that it is allowed. It goes without saying that all your electronic equipment, helmet and shoes should be removed and transported in your hand luggage, but your wheels don’t fit in any overhead compartments so don’t try carry them onboard with you! Finally make sure to properly label your bag or box, with your details and any other relevant information and then… breathe and relax! The world's largest timed cycle race is coming soon, so whether you are looking to achieve your best personal time or you just want to experience the beauty of Cape Town on your bicycle, SAA has the best package to get you, and your bicycle to Cape Town, on time for the race. Attention all pedal fans! As we hurtle towards the starting line of the 2018 Cape Town Cycle Tour, we ask you to familiarise yourself with the procedures below to ensure that your bike gets to Cape Town safely and timeously for the race. You can take your bike as part of (but not in addition to) your free checked baggage allowance. As South Africans we like to be active on holiday, and what better way to get exercise and go sightseeing than cycling. To ensure the safe passage of Guests’ bicycles, Mango recommends that these items be packed in shipping boxes. Mango is unable to provide this service to Guests. Please note: Mango charges a handling fee for the transportation of bicycles. At FlySafair we are more than happy to transport your bicycle with you. When making your reservation, be sure to include special luggage onto your booking. Take a look at the tips on the website on how to pack your bike properly to ensure safe transportation.